Hall of Fame Induction: Matt Hughes May 29, 2010 (6:03) Watch the induction ceremony of Matt Hughes into the UFC Hall of Fame. Matt Hughes vs. Renzo Gracie UFC 112 Apr 10, 2010 (29:35) Two masters of MMA step[ed into the Octagon and brought their vast pool of experience to bear on the mastery and game of their opponent. 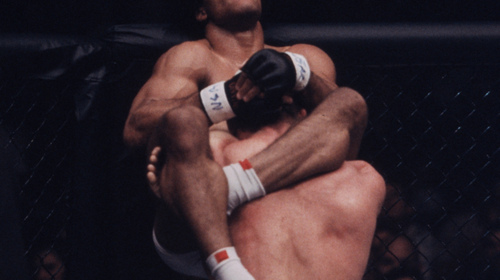 Would Gracie’s defense be enough for the wrestling dominance of Hughes? Matt Hughes vs BJ Penn UFC 63 Sep 23, 2006 (34:14) Matt Hughes got his chance to avenge his last loss while BJ Penn got a chance to reclaim the UFC® welterweight title. 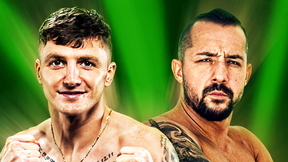 It was a back-and-forth battle that ended with Hughes getting the TKO over Penn. Matt Hughes vs Royce Gracie UFC 60 May 27, 2006 (17:00) Two legends collided as Matt Hughes, one of the greatest welterweight champions in UFC® history, took on the original champion of the Octagon™, Royce Gracie, in a Catchweight bout. 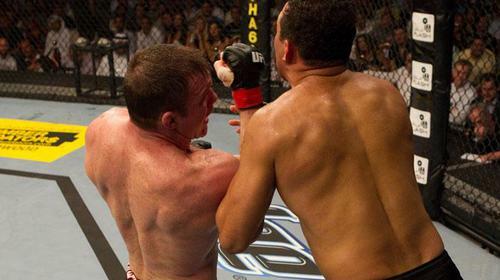 Matt Hughes vs Frank Trigg UFC 45 Nov 21, 2003 (17:20) UFC® welterweight champion Matt Hughes defended his title against Frank Trigg at UFC® 45. The champion only needed one round to submit the challenger. Matt Hughes vs Sean Sherk UFC 42 Apr 25, 2003 (36:55) Matt Hughes survived the sternest test of his reign as welterweight champion as he outlasted fellow wrestler Sean Sherk via unanimous decision. The compelling five round war saw both men match wits, skill, and strength for 25 minutes. Matt Hughes vs Carlos Newton UFC 34 Nov 2, 2001 (15:16) In his first title defense since submitting Pat Miletich at UFC 31, Carlos Newton looked to find similar success against future UFC Hall of Famer Matt Hughes. 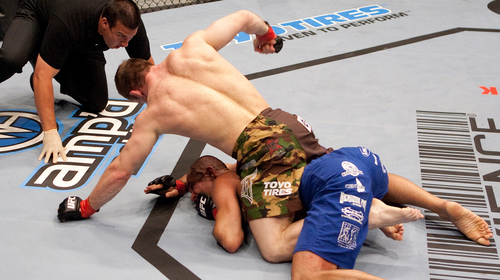 Relive one of the most exciting knockout's in the history of the UFC.